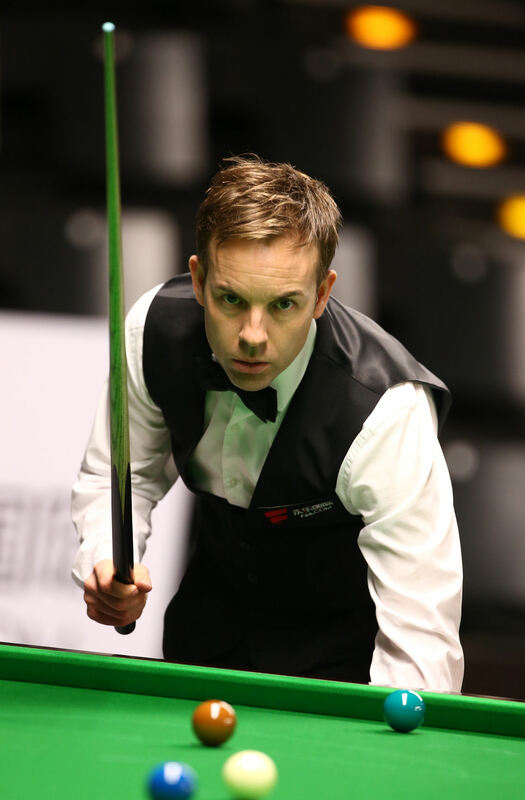 Ali Carter scored a 5-4 win over young Chinese talent Zhao Xintong to reach the quarter-finals of the F66.com German Masters. Zhao, 19, has been tipped for stardom and showed the extent of his talent when he beat John Higgins 5-1 to qualify for the final stages in Berlin. And he looked capable of taking another big scalp tonight when he led 4-3, but lost the the last two frames. World number 14 Carter goes through to meet Tom Ford at the Tempodrom on Friday evening. Carter made breaks of 77, 117 and 67 in taking a 3-2 lead before Zhao hit back with 90 and 69 to go 4-3 ahead. Carter dominated the eighth frame to force the decider. Zhao had one clear scoring chance but made just 8 before going in-off in potting a red to a top corner. Chelmsford’s Carter, who won this title in 2013, took advantage with a run of 58 to cross the winning line. Defending champion Martin Gould saw off Ricky Walden 5-3. Gould raced into a 4-0 lead with a top break of 61, and despite losing the next three frames he clinched it in the eighth with a 64. Gould now meets Ryan Day, who edged out Robin Hull 5-4. Day trailed 3-0 but won five of the next six frames with top breaks of 132 and 104.